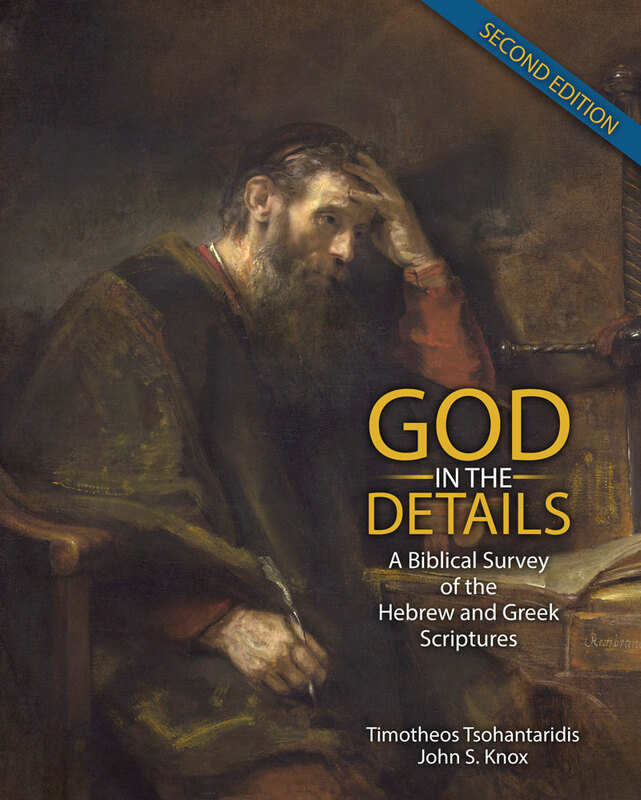 God in the Details: A Biblical Survey of the Hebrew and Greek Scriptures presents the story of the Bible in a systematic, yet straightforward manner. Readers are introduced to a broad investigation of the Hebrew and Greek scriptures (including writings from the intertestamental period), providing the highlights of each book in the Bible as well as historical and cultural details to mesh out the stories and to provide depth of understanding. Big, small, and cross-testamental themes are investigated as are various scriptural approaches, explanations, and interpretations in tradition and postmodernity. Each chapter also includes an in-depth essay on a passage or aspect of biblical literature by assorted leaders in the academy and the Christian church. These vignettes offer readers a deeper understanding of details perhaps not covered in a survey and will show the variety of scholarly, learned opinions at play in academia and the church, presently. Finally, the authors’ (Tsohantaridis and Knox) respective academic backgrounds lend themselves to a personal-but-pragmatic method that incorporates the biblical and the theological with the historical and the sociological. Thus, this survey traces and connects the variety of genres, styles, histories, and types of literature in the Bible, but through the lens of Redemption. Tim Tsohantaridis is an associate professor of Biblical studies at George Fox University. He teaches at both the undergraduate and graduate levels at GFU and was named the Undergraduate Professor of the Year (an award voted on by the student body) in 1995. From 1986–1990, he served as the George Fox chaplain and also coached the George Fox University men’s soccer team from 1986-89, leading the Bruins to a National Christian College Athletic Association national title in 1988. An ordained minister in the Greek Evangelical Church, he moved to Massachusetts in 1990 to pastor the largest GEC congregation in the United States, but returned to Oregon and GFU in 1993. He and his wife Valerie have two sons, Demetrius and Thaddeus. John S. Knox is an associate professor of Sociology in the College of General Studies and an instructor of Apologetics in the Rawlings School of Divinity at Liberty University. He has taught Bible, Sociology, history, and religion for nearly two decades at several Christian universities in the Pacific Northwest and the East Coast, utilizing his PhD in Theology & Religion (Sociology), a MATS in Christian History & Thought, and a BA in History and English to help his students more fully understand what it meant to be a Christian in the past--and why it is still relevant in the present. He currently lives in Virginia with his wife and two sons.